What’s the Best Time to Post on Social Media? Planning the best time and day to share interesting content as well as company messages on Facebook, Google Plus, Instagram, LinkedIn, Pinterest, your blog and other social channels is a recurring theme in social media marketing. The solution would certainly take part of the mystery out of why some content does very well in terms of views, likes, comments and shares, while other posts seem to miss the mark with your followers. To be sure, proprietary filtering algorithms imposed by some networks (especially Facebook) can significantly stifle your efforts to achieve wide reach. This is the new “Digital Curtain.” So in some respects, even if you have optimized post scheduling based on solid analytics and research, you also have to break through the “curtain” that can restrict the reach of your content even to people who have said they want to view all your posts. You can mitigate the network filtering by sponsoring or “boosting” posts – i.e. pay a fee – but I’m going to focus on achieving “organic” reach via optimal scheduling rather than the pay-for-play approach. 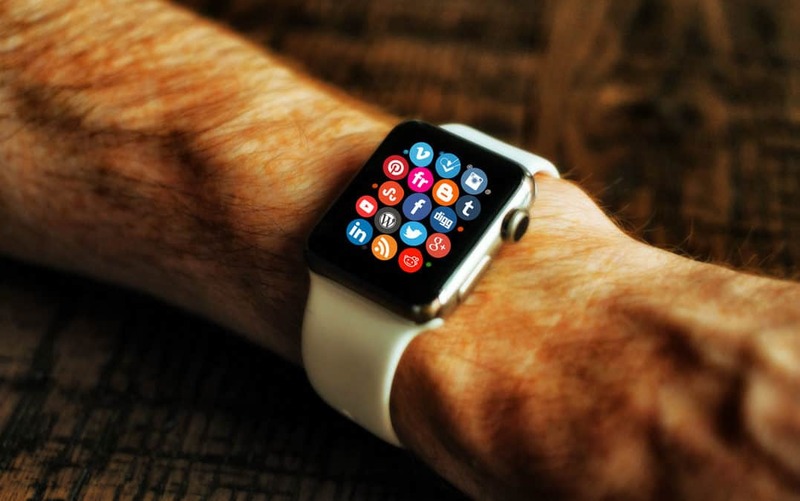 It should also be noted that while timing is important, highly valued content that resonates with your audience – plus the viral network fueled by friends of your followers – needs to be factored into the equation. Do you regularly post with interesting photos, concept art, infographics or videos? Text alone may not be enough: Content posted with dynamic visuals, especially video, achieves much higher levels of response, sharing and conversions. Tip for the automation and industrial community: Technical diagrams and drawings may produce better results than stock photo site images. That’s what we’re seeing with the organic (non-sponsored) metrics from ISA’s social media posts. To update the bit.ly data for this post, I surveyed recent reports on recommended optimal post times produced by social media management vendors, inbound marketing agencies and SEO specialists. Give or take an hour, the bit.ly findings from 2013 are still relevant today. Note that there are always exceptions for specific industries. For example, metrics suggest Pinterest peaks at 3pm Friday for fashion and retail. Morning, afternoon, evening? Weekday or weekend? 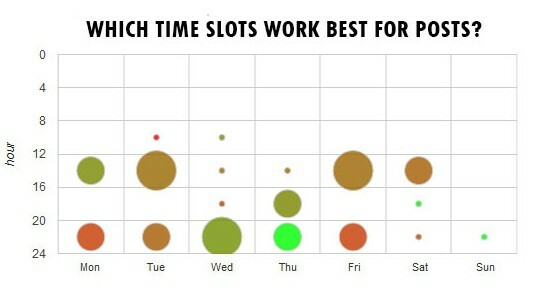 Most of the optimum scheduling studies are globally myopic, and tend to report with Eastern time zone recommendations. But industrial automation and manufacturing communities are global, and my experience managing ISA’s social networks and other channels suggests that a successful strategy might include a staggered approach to scheduling posts to accommodate regions outside of North America. Plus studies note that weekends can be especially attractive, as people may tend to have more free time to catch up on reading and social networking. Timing social media posts is still a science and an art. 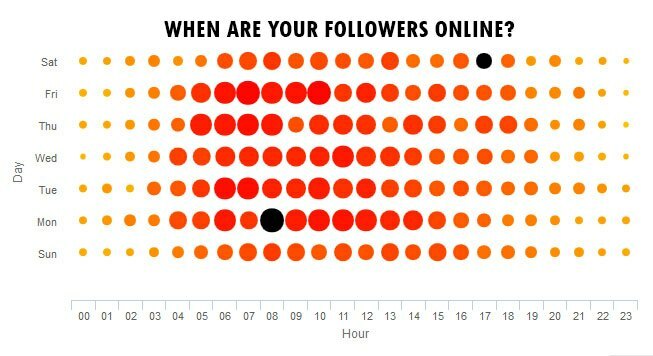 While industry research and follower metrics provide good guidance for setting up your social media posting schedules, experiment with different days and times. A/B testing is an ideal exercise for discovering the best post times for your specific content and your community of followers. From a brand marketing position as a global company, you may want to reinforce your international presence by posting in all time zones. In other words, make a statement and show up in customer time zones. 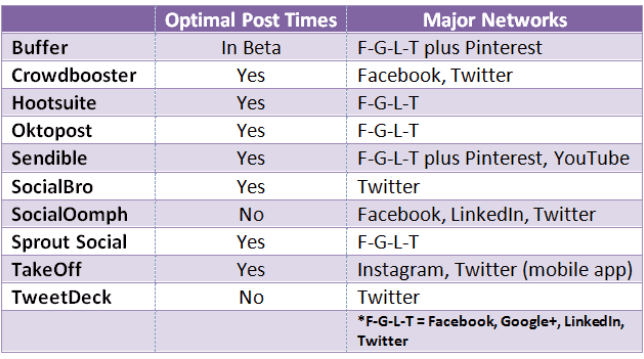 Consider general optimal times when social channels are active via studies and reports. Review the time period performance of your posts in terms of views/reach, comments, shares, likes, retweets, etc. Use third-party scheduling tools to analyze your accounts and/or automatically schedule posts for optimal times. The social media marketing industry is big on automation, simply because the task of monitoring, analyzing and manually posting content is not practical even for small businesses. If you are global, the automation tools as essential for any size company. For optimizing post times, there are a variety of free or relatively low-cost scheduling tools such as Buffer, Crowdbooster, Hootsuite, Oktopost, Sendible, SocialOomph and Sprout Social. These social media management platforms offer different approaches to scheduling posts for your social media accounts. Plus most tools have built-in timing optimization functions or post timing analytics. They can help you publish content when your followers are most likely to see it and respond. If you need more sophisticated monitoring and analytical capabilities or other features, there are enterprise-class solutions that offer very robust capabilities, and may include task and workflow management, customer relationship management (CRM) tools with SMS messaging and email integration, team management, comprehensive metrics and analytics dashboards, advanced reports and brand monitoring. For Twitter only, consider SocialBro and TweetDeck. Instagram: Take a look at the TakeOff mobile app, which monitors the traffic of your followers so you can post content with the aim of getting the most views, likes and comments. The app analyses engagement patterns of your followers plus your activity and then assigns the best time for every post, or you can manually schedule a specific time for each post. It works with Twitter as well. If you want to use independent analytics tools to review your accounts and follower behavior, check out Fanpage Karma, Followerwonk and TrackMaven. Remember to include your experience of your social networks in the final analysis. Social automation tools are great for quantifying post metrics and follower activities, but they don’t necessarily present a picture of the quality and complexion of your follower engagement. Ultimately you need to assess whether the clicks, likes, shares and comments are leading to the outcomes desired by your industrial automation or manufacturing business. © Copyright 2018 Comm Strategies Inc.